Effective internal communication is central to acceptance, user adoption and effective usage of any new systems introduced by IT teams. But changing how staff work takes effort. They need to be informed of the value of the technology and engaged with it in order for them to use it effectively. SnapComms tools are specifically designed to support IT managers with successful implementation. Each tool includes features to promote and improve system usage, and reporting to help IT managers assess performance and value. It’s useful to assess what’s working and what’s not with any existing system. 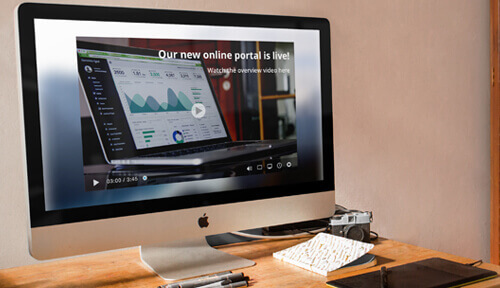 Gather information on the functionality and resources staff would like to see in new systems. 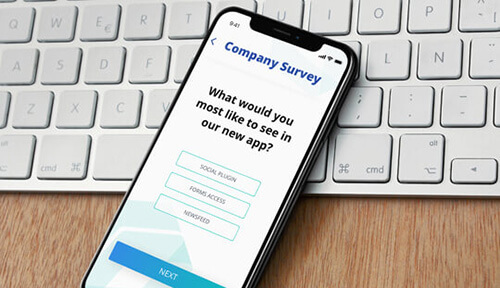 SnapComms’ pop-up staff survey tool can deliver company-wide surveys to capture the insights you need. The survey is quick to set up and simple to deliver. It’s pushed directly onto employee computer screens so surveys don’t get buried in email inboxes. Built-in reminders drive participation which can help ensure that all opinions are represented – including the important ‘silent majority’ who perhaps do not have extreme views or agendas, and who would ordinarily be less motivated to participate. The survey can also be targeted to specific groups of employees, such as managers and heads of departments. Such individuals can be asked questions such as “What specific business value does / could your department derive from introducing this new technology?” or “How might this be quantified?”. This research will provide an important perspective to help you make the implementation effective and also help quantify its value at a later stage. One of the keys to successfully implementing technology is to drive user adoption and regularly gather feedback to evaluate progress. Communicating the successive stages of implementation needs to be interesting for staff, so adopt an engaging and innovative internal communications campaign. SnapComms tools can promote your evolving implementation through multiple channels and monitor readership to ensure you’re hitting the mark. An internal newsletter is a good way to quickly and easily consolidate information into a dynamic visual format. 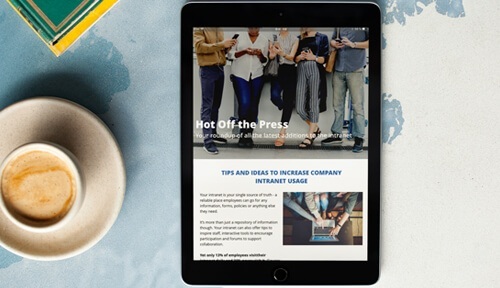 Short news articles can inform readers of new information and the availability of new tools, as well as allow readers to click through to any intranet pages for more details. Staff can also be encouraged to submit their own articles and updates. For project ‘wins’ that you want to profile with more impact, try screensaver messaging. These raise awareness of key information by turning employee screens into interactive billboards. After all, an image is worth a thousand words. 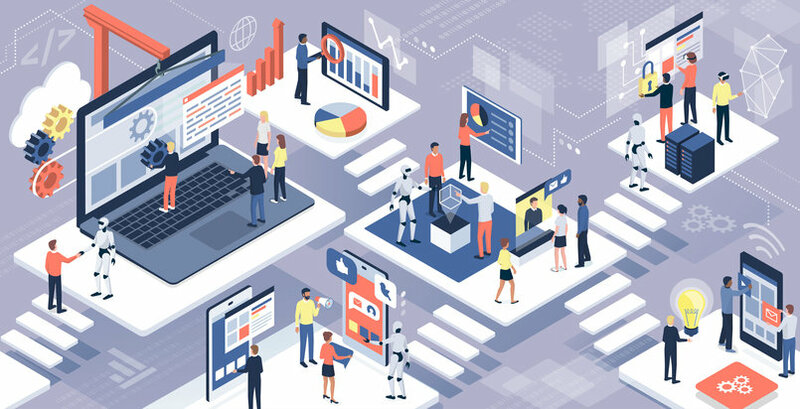 To ensure you maximize the value derived from new technology after implementation, it’s important to provide adequate training and support to staff. A staff quiz provides a great format to run an education program or to reinforce training. An interactive quiz can be pushed onto employees' computer screens, where staff can elect to complete the quiz at a time that suits them. If required, you can set up the quiz so that it keeps re-appearing on screen until it's completed. 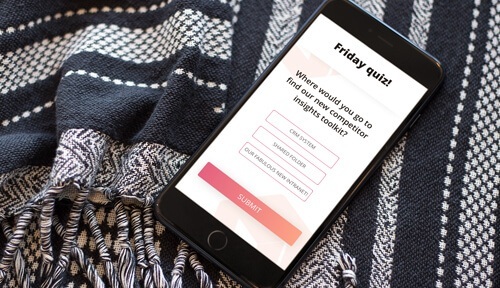 Business and product focused quizzes can contain links to your intranet, allowing users to research any question before they answer - also useful for increasing intranet traffic. This tool is a real asset if you are aiming to improve overall knowledge, increase system usage and help staff find the content they need. 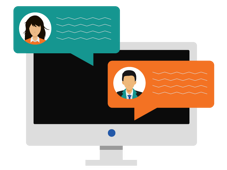 SnapComms tools provide a quick and easy means for people to ask questions in an appropriate online ‘helpdesk’. Moderators can be nominated for each ‘helpdesk’ and receive desktop alert notifications when new questions are posted. Moderators can answer questions directly or point the user to places where an answer can be found. Each specific question can be tagged and made searchable, meaning that past questions and answers can be easily located in an evolving repository of knowledge.